As mentioned in the previous chapter, the record sales boom (lasting until 2008) was partly driven by the format shift from cassette to CD in the local music repertoire. 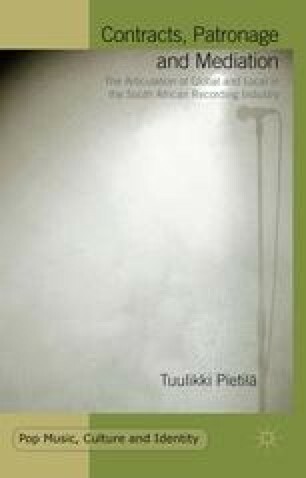 The recession that was felt in several corners of the world also affected the South African music market, through a decrease in disposable income. Other global factors, such as competing entertainment products (DVDs, digital games, mobile phones) and illegitimate copying and sharing of music,1 are commonly identified by the industry insiders, as well, as reasons for the declining sales in South Africa since 2008.